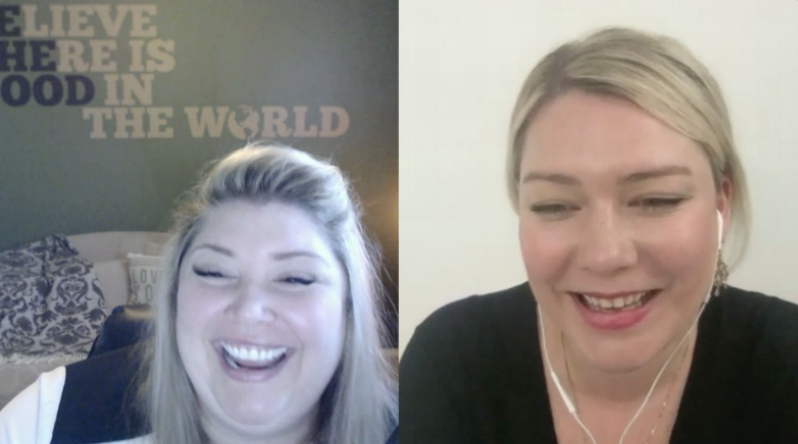 In Episode #30 on The Jen Mavros Show... THIS!!! OMGoodness... THIS!! This episode was enlivening, enlightening and absolutely freaking fabulous. Dr. Beckwith drops serious wisdom bombs and I was bobbing my head in soul agreement the. whole. time. 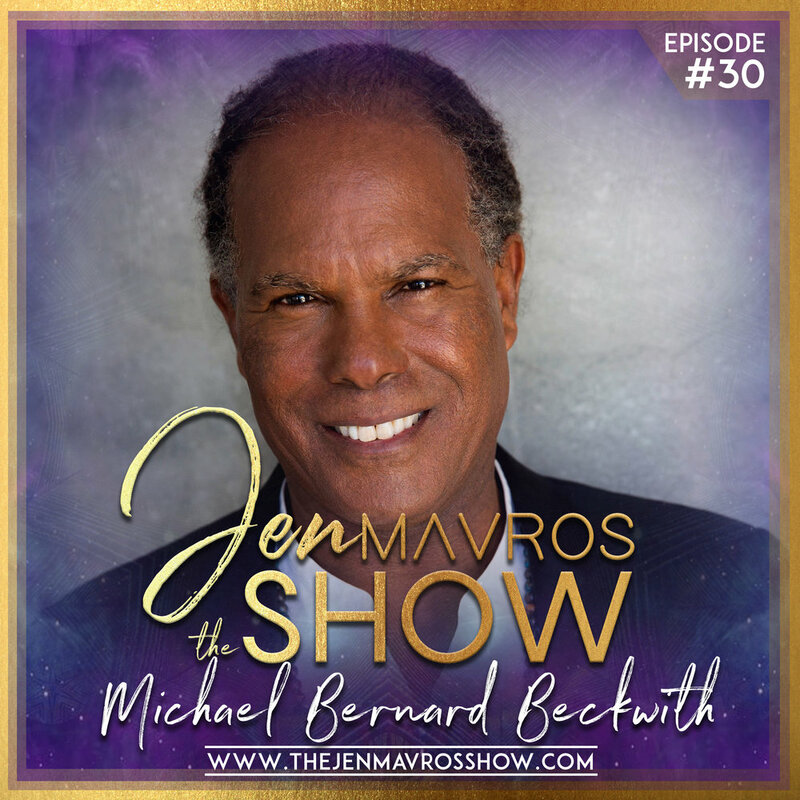 We discuss Kensho & Satori, Life Visioning, the four levels of consciousness, Surrendering, and I ask Dr. Beckwith about his personal perspective on the weather and horrific events taking place around the world....and so many enlightening pieces. 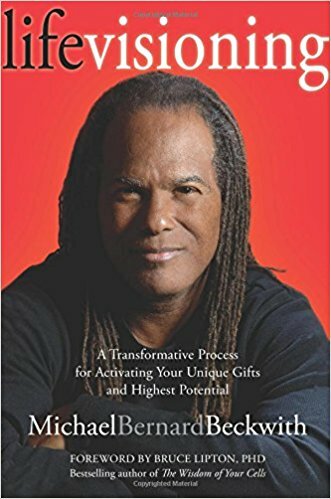 Dr. Michael Bernard Beckwith is the founder of the Agape International Spiritual Center, a trans-denominational spiritual community with a congregation of over 9,000 members. He has appeared on Dr. Oz, The Oprah Show, Larry King Live and in his own PBS Special, The Answer Is You, spreading his message to millions of people. He also participated alongside the *Dalai Lama and other New Thought Ministers in The Synthesis Dialogues. Dr. Beckwith is the creator of the Life Visioning Process, which he teaches all over the globe through his books and seminars. At its core, the process is a way to fully embrace your connection to the divine and let the Universe serve through you. TRUST ME, you do not want to miss this episode!!!!!! 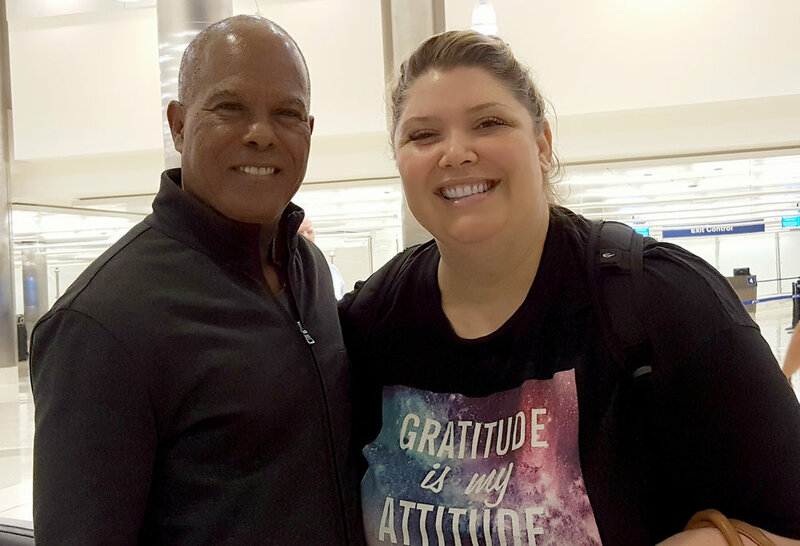 Michael Bernard Beckwith is the founder and spiritual director of the Agape International Spiritual Center. Based in Los Angeles, California, Agape is a trans-denominational, multicultural community of thousands of local, national and international members and live streamers. Highly regarded for his teachings on the science of inner transformation, Dr. Beckwith embraces a practical approach to spirituality that acknowledges the accelerated pace of our contemporary times. His unique transmission of spiritual practices including meditation, affirmative prayer, and life visioning enable the practitioner to take the experience of inner peace coupled with awakened awareness into the activities of everyday life. Agape’s local community outreach programs feed the homeless, serve incarcerated individuals, partner with community service organizations active in children’s schools and homes for youth at risk, support the arts, and advocate for the preservation of our planet’s environmental resources. Its global humanitarian programs provide food distribution, retraining programs, schools, libraries, orphanages, clinics, homes for unwed mothers, financial support during natural disasters, and human advocacy. Locations range from eight African countries to Afghanistan, Bosnia, Columbia, Ecuador, India, Iraq, Kosovo, and Sri Lanka. Dr. Beckwith is a sought after meditation teacher, conference speaker, and facilitator of the Life Visioning ProcessTM, which he originated. In 2014 Beckwith addressed the prestigious TED (Technology, Entertainment, and Design) conference. Three of his most recent books—Life Visioning, Spiritual Liberation, and TranscenDance Expanded—are recipients of the prestigious Nautilus Award. He has appeared on Dr. Oz, The Oprah Winfrey Show, OWN Help Desk, OWN SuperSoul Sessions, Tavis Smiley, Larry King Live, Dr. Oz, and in his own PBS Special, The Answer Is You. Every Friday at 1 pm PST, thousands tune into his weekly KPFK radio show, WAKE UP! The Sound of Transformation. 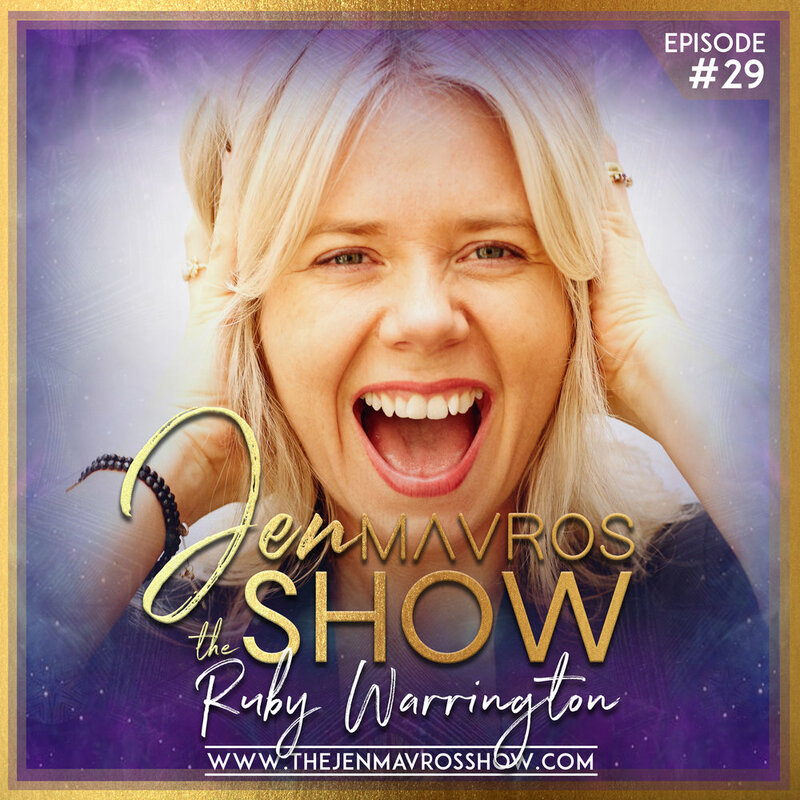 In Episode #29 on The Jen Mavros Show we are gettin' stylish with the soulful and fashionable, Ruby Warrington; author, British Journalist and founder of a cosmic lifestyle platform called, The Numinous. Together we discuss how she's bridging the gap between the mystical and the mainstream. 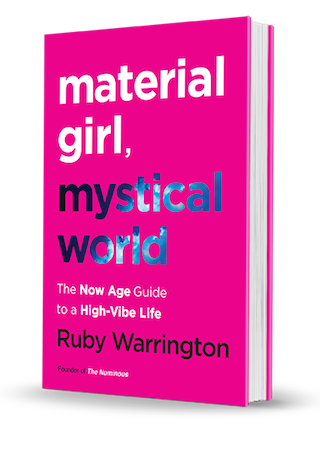 We unpack the goodies in Ruby's first book, Material Girl, Mystical World: The Now Age Guide to a High Vibe Life is out now with Harper Collins. Updating all things "new age" for life in the Now Age. Ruby's sophisticated, yet metaphysical romp into a world of trendy psychics, bohemian celebrities, crystal wearing young socialites, and the most sought after referral-only healers. Both witty and wise, the book is also an inspiring call-to-arms for today’s young woman, looking to find her authenticity and voice in business, relationships, and spirit. This is a fun and inspiring episode ya gotta check out. Ruby takes readers on a sophisticated metaphysical romp into a world of trendy psychics, bohemian celebrities, crystal wearing young socialites, and the most sought after referral-only healers. Both witty and wise, the book is also an inspiring call-to-arms for today’s young woman, looking to find her authenticity and voice in business, relationships, and spirit. 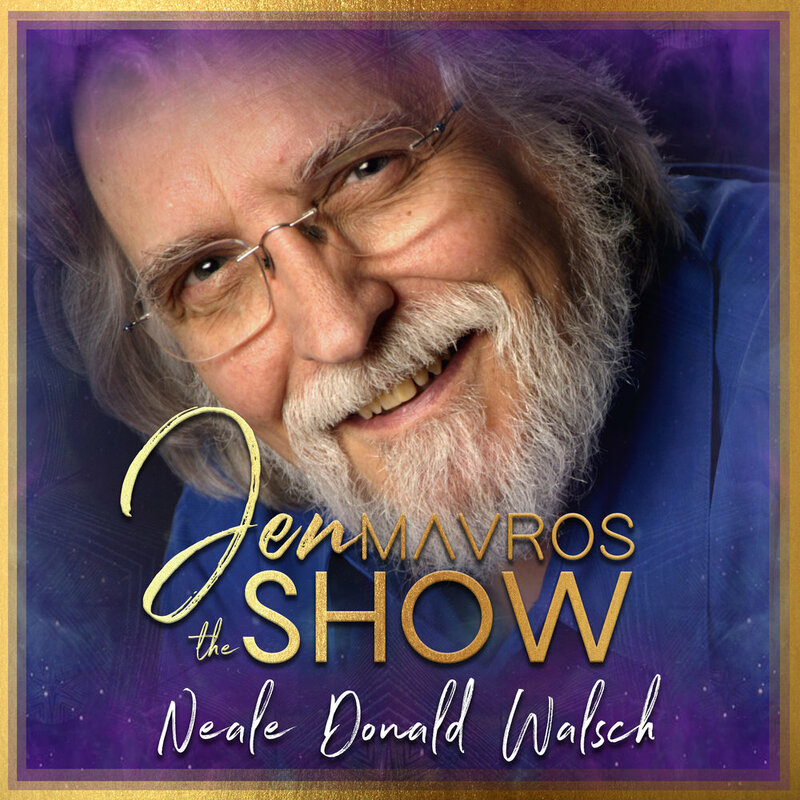 In Episode #24 on The Jen Mavros Show we are joined by New York Times Best Selling Author and Spiritual Messenger, Neale Donald Walsch. 1. Is the human race being offered help by Highly Evolved Beings from another dimension? 2. Is there a key role that humans are being invited to play in advancing their own evolution by joining in a mutual mission to assist the planet during the critical times ahead? millions around the globe. Walsch never anticipated there would be more to his seminal work, until that August night in 2016.
differently than humans do—and how adopting even a few of those behaviors could change the course of world history for the better forever. for mankind and the planet. constructions emerging from the original dialogue. The powerful treatise on how to fully and powerfully utilize the metaphysics of the universe fills the pages of Happier Than God, CwG’s formula for creating right livelihood is the topic of Bringers of the Light, and a pinpoint summary of the core concepts in the original 3,000 pages of dialogue can be found in What God Said, in which those concepts are reduced to 1,000 words, with chapters following that explain each concept in detail. A concise statement serving anyone who may be wondering what all of the CwG books are about, but may not have time to delve into this whole body of work, is contained in the small volume What God Wants. Then, a highly focused exploration of the most damaging misunderstandings of Deity that billions of humans have held for thousands of years is offered in God’s Message to the World: You’ve Got Me All Wrong. Concluding the list of supplementary texts: Wonderfully useful strategies for bringing the major messages of CwG to humanity’s offspring, from post-toddler to pre-adolescent years, is presented in Conversations with God for Parents: Sharing the Messages with Children, co- authored with Laurie Farley and Emily Filmore. A look at the intersection of CwG and traditional healing professions is found in Where God and Medicine Meet, co-authored with Brit Cooper, M.D., and finally, a teacher’s guide for persons wishing to offer classes in this material has been published under the title The Conversations with God Companion. Neale Donald Walsch is the author of nine books in the Conversations with God series, which have sold over ten million copies in 37 languages. He is one of the major authors in the new spirituality movement, having written 29 books, with eight books on the New York Times bestseller’s list. His life and work have helped to create and sustain a worldwide spiritual renaissance, and he travels globally to bring the uplifting message of the CwG books to people everywhere. He has been called a modern day spiritual messenger, and has reported having an experience in which he felt the presence of The Divine after writing an angry letter to God on a yellow legal pad, and receiving answers in a process that he describes as exactly like taking dictation. 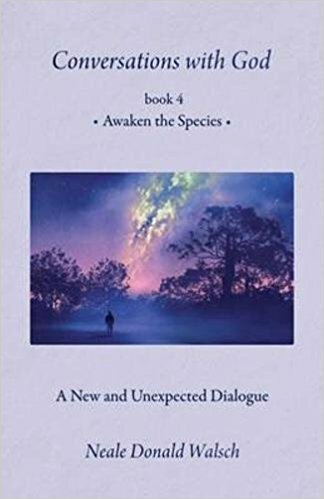 That was over 20 years ago, and what emerged was the nine-part Conversations with God series, which has been published in every major language of the world. Mr. Walsch has told his readers and the media—which has brought global attention to his experience—that he was told that God talks to everyone all the time, and the question is not: To whom does God talk? The question is: Who listens? He says his whole life has been changed as a result of his own decision to listen. He took notes on the questions in his heart and the answers he was receiving, so that he would always remember his exchanges with Deity. It wasn’t until later that he realized he was being invited to place these words into the world, as one of many throughout history who have made their very best effort to hear and to articulate God’s messages. Because he knows that everyone is receiving God’s messages, he invites all people everywhere to both share them and live them as best they can, for Neale believes the world would change overnight if only a fraction of its people embraced what he was told is God’s most important message of all: You’ve got me all wrong.